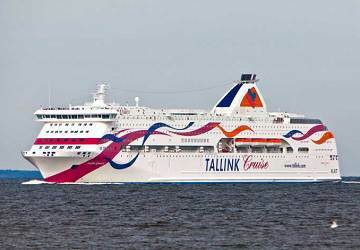 The Tallinn Stockholm ferry route connects Estonia with Sweden and is currently operated by 2 ferry companies. 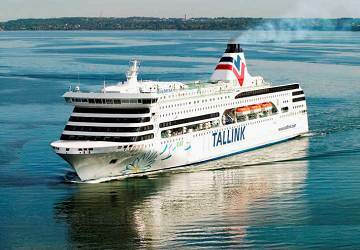 The Tallink Silja service runs up to 7 times per week with a sailing duration of around 17 hours 15 minutes while the St Peter Line service runs up to 1 times per week with a duration from 16 hr. 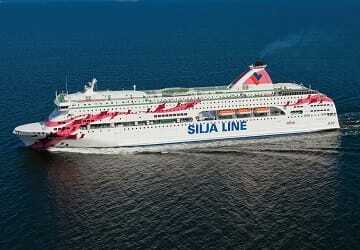 So that’s a combined 8 sailings on offer per week on the Tallinn Stockholm route between Estonia and Sweden. Compare now and get the best fare at the time that you want to travel. Prices shown represent the average one way price paid by our customers. The most common booking on the Tallinn Stockholm route is a car and 2 passengers. Enjoyable mini cruise trip. Orders during boarding and landing for people and vehicles (we should learn from them because in Italy is always a caos...) Clean and comfortable cabins for all the different classes even the internal. Restaurants, self service and cofè shops are good!!! Nice ship! Nothing to say. Really clean even the outside decks. Clean cabins, extremely kind staff, all comfort on board from restaurant to pub and night shows. I will certain repet this experience if I will find my self around this route. My wife and I thoroughly enjoyed our trip on the Romantika. We felt that we were on a luxury cruise ship the minute we boarded. The entertainment, the food options and our cabin were fabulous. Check in was easy too. We highly recommend this way of travelling.